Memorial Celebrates National Nurses’ Week, LIVINGSTON, May 9, 2014 - The nurses at Memorial Medical Center-Livingston are an integral component of the well-being of the community. Each year, the nation recognizes the important work done by nurses during National Nurses’ Week. Memorial honored the commitment and excellence its nurses provide to Polk County and the surrounding communities during a week-long celebration May 5-9. All throughout the week, the staff at Memorial participated in different “theme days,” such as “Sport your Sport” day and “Blast from the Past” representing the 60s, 70s, 80s and beyond. Memorial patients got to see the silly side of their health care providers as the staff dressed in costumes during Nurses’ Week. 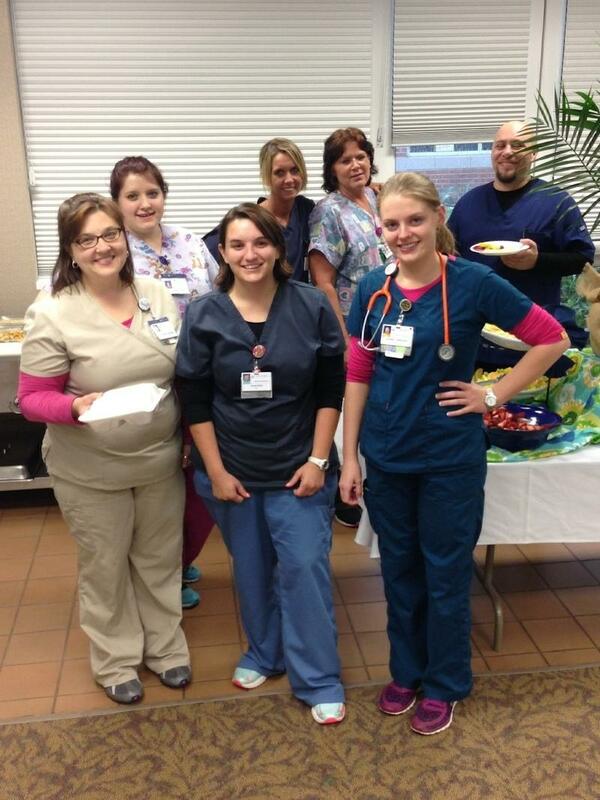 Memorial Medical Center-Livingston celebrated National Nurses� Week by honoring its dedicated staff throughout the week. Pictured from left to right: Judy Goins, Latisha Jackson, Constance Kinard, Jo McDonald, Bridget Myers, Walter Grube, Natalie Munnerlyn, Karin Rosa, and Lauren Lonergan. 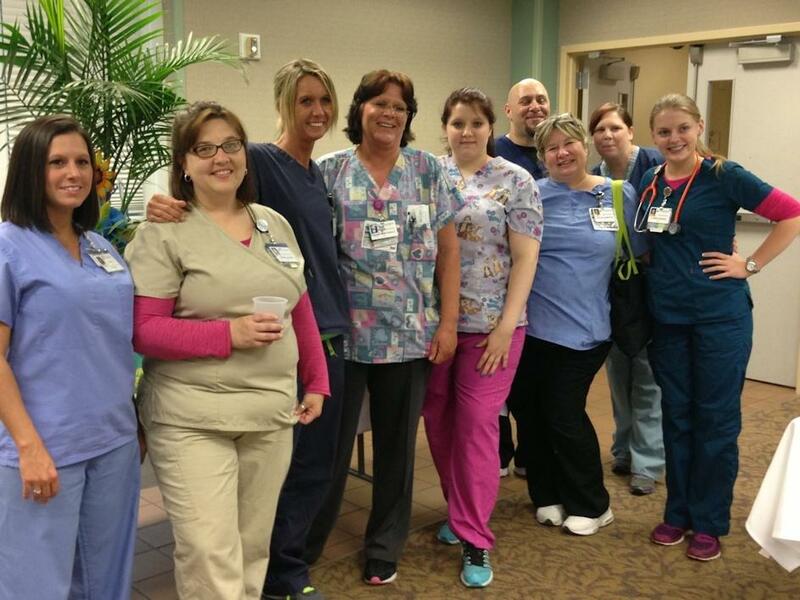 Memorial Medical Center-Livingston celebrated National Nurses� Week by honoring its dedicated staff throughout the week. Pictured from back far right to front: Walter Grube, Jo McDonald. Constance Kinard, Bridgett Myers, Latisha Jackson, Krista Rollo, and Lauren Lonergan.